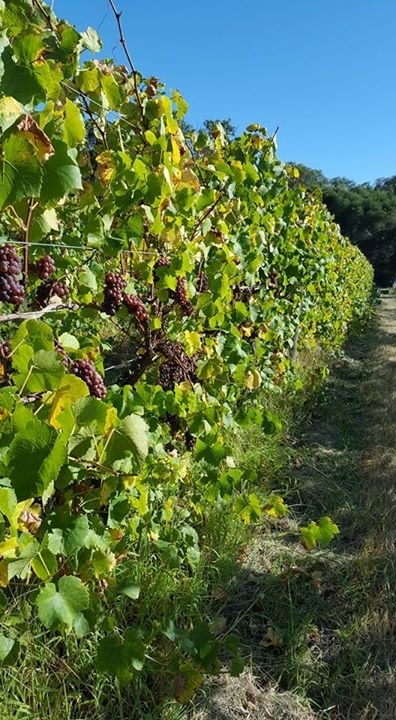 3 Acre Vineyard | "Wine Grown from the soil up"
"Wine Grown from the soil up"
Picking 2017 Pinot Gris a difficult year but an excellent crop, rich, ripe flavours, lots of intensity in the fruit and a great friends and family pick. 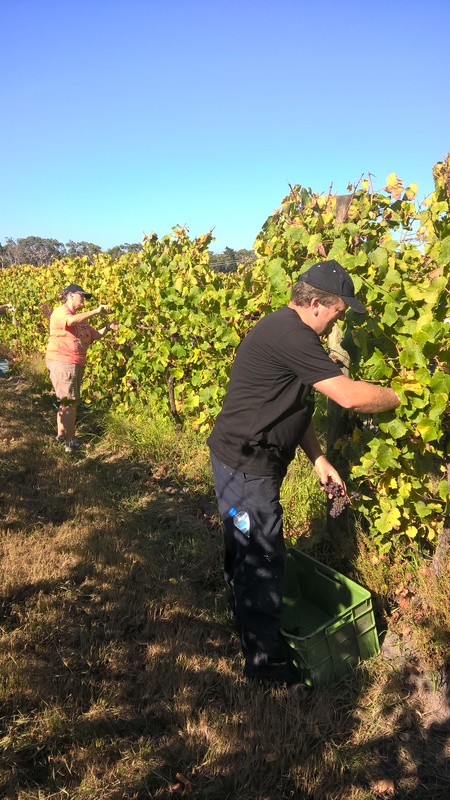 In the great tradition of wine making a morning of picking out in the paddock and then back to the winery for a lunch. 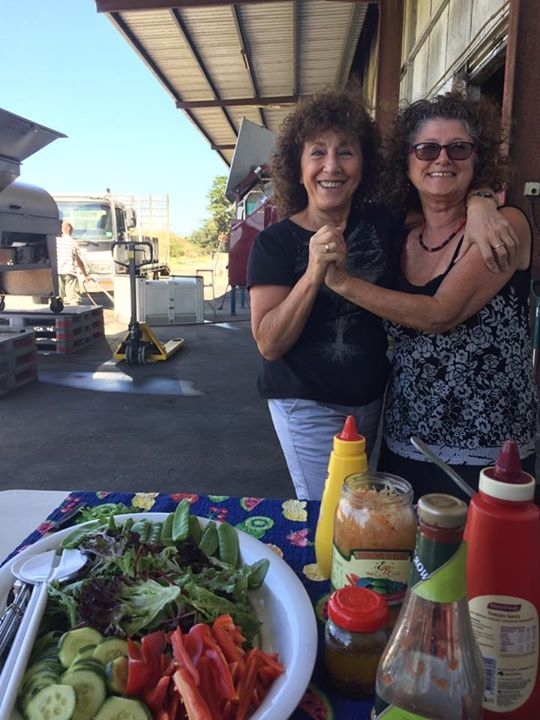 Beer, wine, good food, good company, a big thank you to everyone who helped. Let’s hope the Sangiovese comes off just as well. We are very much a hands on operation at 3 Acre Vineyard and here we are hand bottling the 2016 Sangiovese. This is our best Sangiovese so far, rich and vibrant with a subtle oak framework and lovely chalky tannins. It is drinking well now but will only get better. Last year we ran out of Sangiovese so get in early! 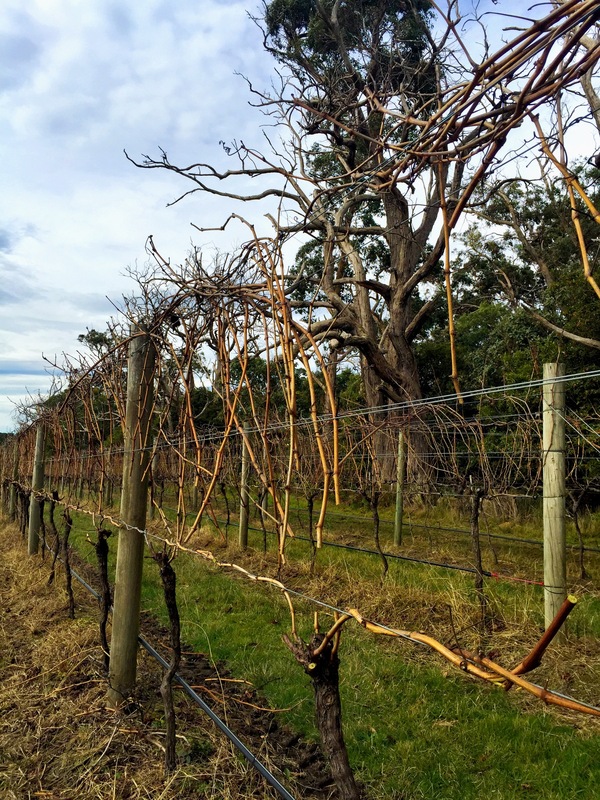 It’s cold, it’s windy, it rains and it has to be done, welcome to pruning. It’s what we do over winter knowing it has to be finished by bud burst, and finish it we did. Just in time as usual, mostly because we try to avoid the really wet days. 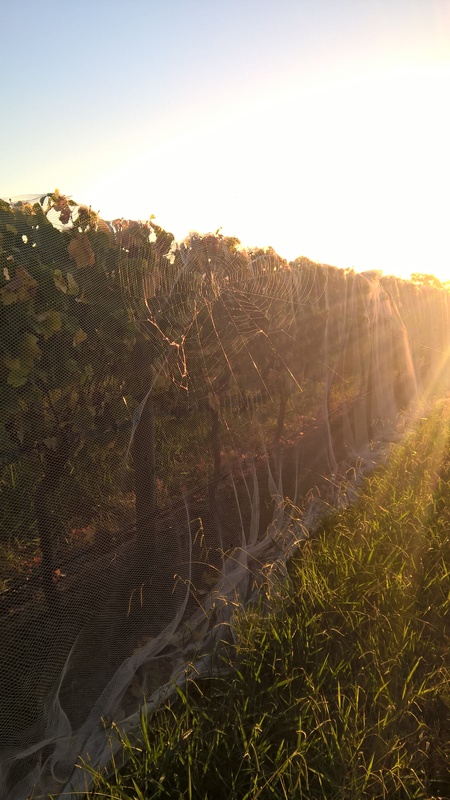 It is also one of the most important jobs in viticulture, it establishes the new fruitful wood and gives you a chance to tidy up the vines, cutting out any gnarly bits of trunk and untidy crowns (the top of the vine just under the wire, which is shaped like a Y). It is the job I grumble about most but it is satisfying once it’s done. So now it is done I can feel justifiably satisfied. Vintage 2016 was many things; unusually warm, unusually dry, larger than normal crops but exceptional fruit quality. 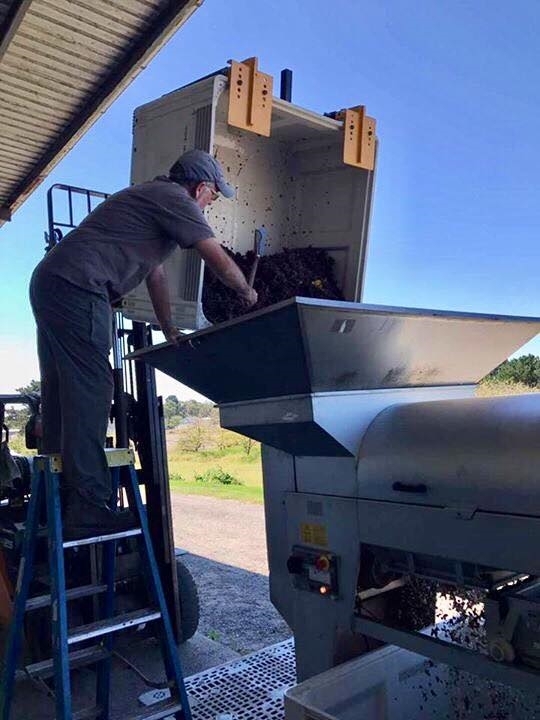 We seem to have been picking for weeks, but the fruit is in, the Pinot Grigio or is it Gris is in the tank, the Sangiovese in the fermentors and various Rose extractions waiting for blending. It all looks good and I am expecting a real lift to the quality of our wines. We have worked hard trying to get the most out of the season and the fact that it is such a good season is just a bonus. Watch this space, some exceptionally good wines are on the way! 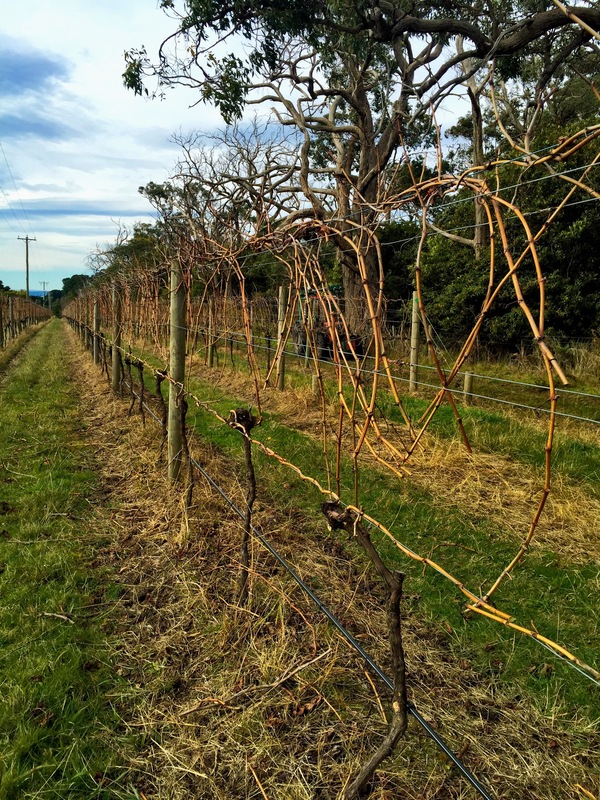 The 2014 Sangiovese has won silver at the National Cool Climate Wine Show in Bathurst and bronze at the Australian Alternate Varieties Wine Show in Mildura. It is a great start as it is the first time we have entered the wines and “cool climate” Sangiovese is not a well known creature. Alas, however and it is often the way we no longer have any left. The 2015 Sangiovese which is almost ready is showing our classic Sangiovese flavours, crushed geraniums, violets, dark olive and red berry fruits as well as a very elegant chalky tannin finish. 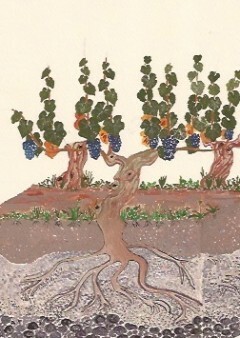 It is a wine which makes up in refinement the less exuberant fruit of the vintage. 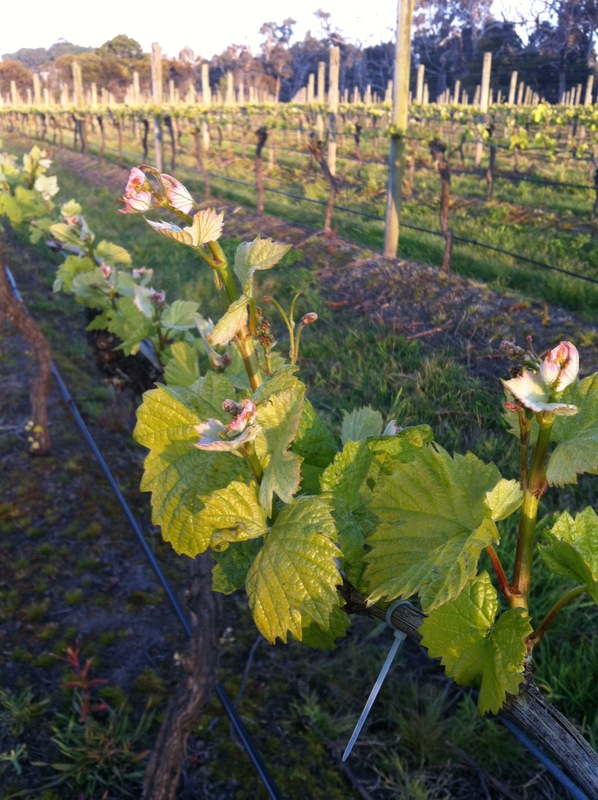 Spring has sprung with a bang and a boom this year with the vines jumping out of their skins. A warm and dry year which has all the hall marks of a classic year. Early days, of course but we are very hopeful. Loads of flowers, very little disease pressure, good healthy growth, a lot of work to control it but everything is looking good. Even when he were twirling the canes on the top wire, our new brilliant idea from Italy, we wondered how we would get them off. Given how high they are, how much they have tangled as they grew and just how painful pulling out is after pruning anyway. 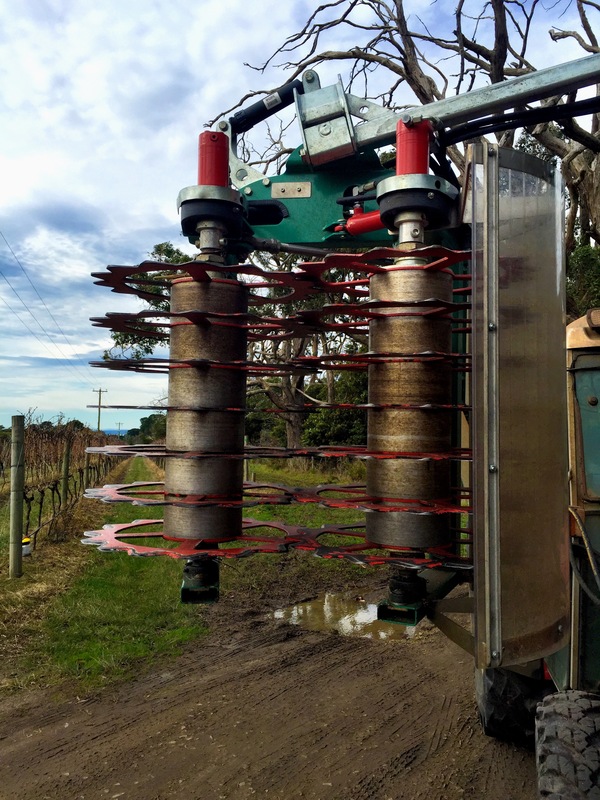 “It’s too bad we can’t use the pre-pruner,” We said, and then it dawned, we could use the pre-pruner, that dangerous looking machine in the photo, except we would use it as a post-pruned. After-pruner, not prune the posts out, although it looks like it could. So all we needed to do was cut out the old wood, roll on the new canes and leave the tangled mess above for the pre-pruner and bingo a difficult job made easier. So this year when we twist on the growing canes we will know getting them off again won’t be a problem. Someone did have a brainwave!